The Association has formed partnerships with the two major police forces in the province. By working closely together with both police forces, the association has been able to ensure that all areas of the province have access to crime prevention committees if they desire. The Citizens’ Crime Prevention Association of Newfoundland and Labrador was formed in 1988. It is comprised of police and citizens who are concerned with making our communities better and safer places in which to live. It was felt at that time that the traditional responses to crime in our communities were insufficient and that other responses were needed. Click the view button below for a biography of CCPANL. The HVGB Crime Prevention Committee has been active since 1984. Currently the committee is made up of 10 volunteers who meet once or twice a month to plan community events or projects that are geared towards Crime Prevention. They host annual events such as Safety Bear's Birthday Party, Halloween Safety Talks, The Christmas Tree of Life, Free Public Skating, and a Battle of the Brains Trivia night. Other events take place throughout the year depending on the need of the community at the time. One of the new projects that the HVGB Crime Prevention Committee is taking on is participation in "Pink Day" at the local schools. If you would like more information about this committee, please contact the Happy Valley Goose Bay RCMP. On February 4th 2013, the RNC, RCMP, and St. John's Crime Prevention posed for a picture at an "Evening Tea for Violence Prevention" at St. John's City Hall, organized by the NL Sexual Assault Crisis and Prevention Center and various other community partners in recognition of February- Violence Prevention month. The RNC and RCMP met with the many members of the public, and the St.John's Crime Prevention also provided information and pamphlets to delegates. Photo (L-R) Cst. 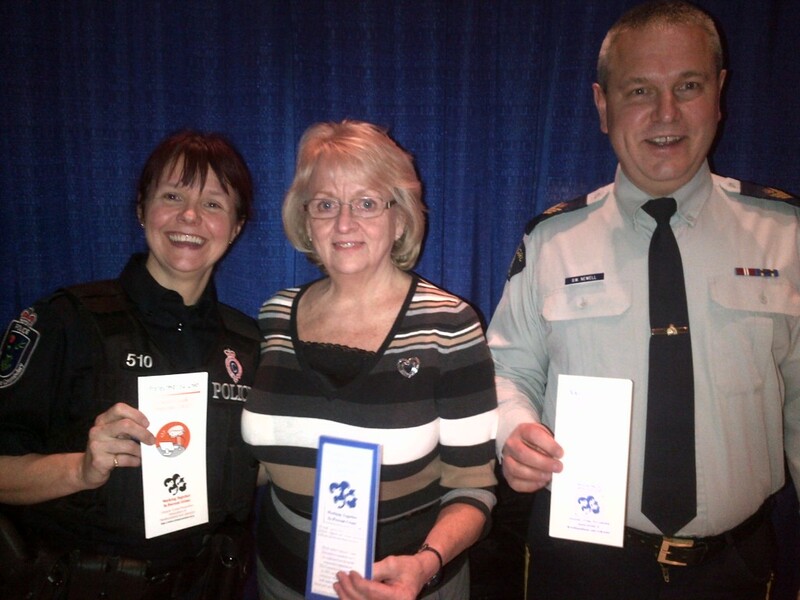 Karen Hemmens, RNC Community Policing; Dolly Sweetapple, Chair-St.John's Crime Prevention Committee; Sgt. Wayne Newell, RCMP Community Policing. The Battle of the Brains has become one of the most popular fundraisers for our committees. Citizens battle to see who is the "brainiest team" in their community. 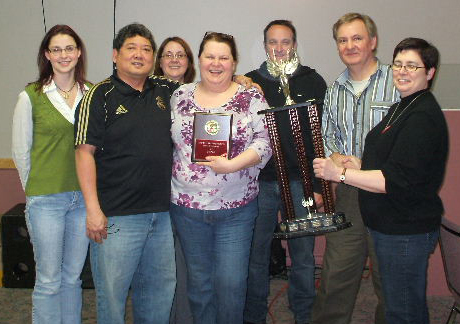 Shown above are the winners of the Clarenville Crime Prevention Battle of the Brains contest. Shown above are the winners of the Bay Roberts Crime Prevention Battle of the Brains contest.